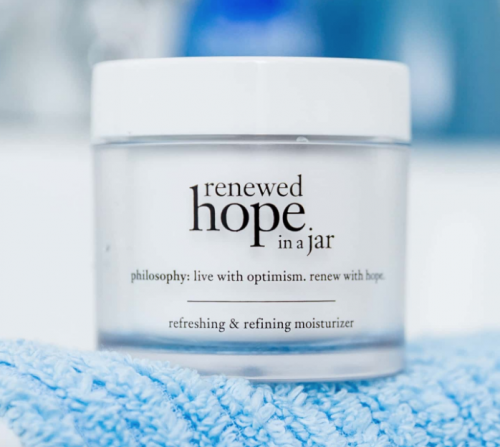 Today only, 3/28/19, you can get the 2oz size Philosophy Hope in a Jar for a whopping 50% off. The price drops from $39 to just $19.50 which is an amazing deal for this product. I have used Philosophy products for years and love them. This is part of Ulta’s 21 days of deals, where they are offering huge discounts on some really wonderful products. Please note the Philosophy sale is available online only and shipping is free on a $50 order or it is $5.95. They will feature different products every day through April 6th- see the list of sale products by day here. I actually have my eye on the Tarte palette tomorrow and the Cover FX Shimmer Veil. My little girl loves wearing that Cover FX over her eye black for softball games. We have tried a bunch of dupes for the Cover FX and nothing comes close to how sheer and pretty it is. If you have other items to pick up, code 748449 takes $3.50 off a $15 order. That code excludes the beauty steals and certain prestige brands but works on lots of other stuff you might need. Click here to take a look at the sale and grab your Philosophy moisturizer.